Shire Badminton 7 x10 Summerhouse includes the 2 x Opening Windows and a single door. 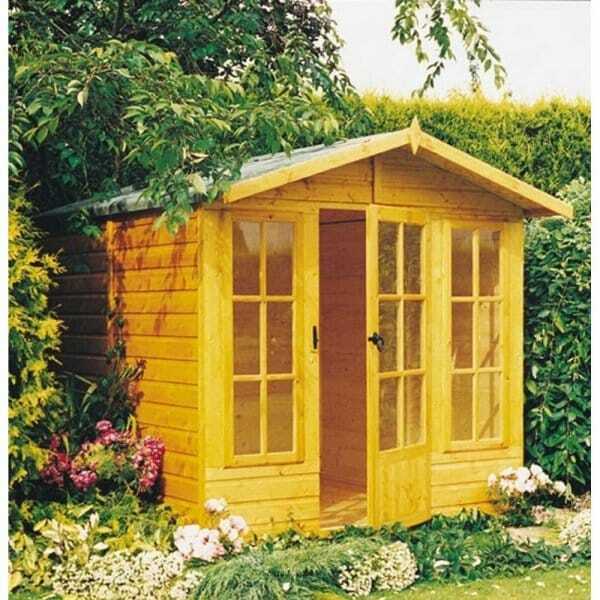 The Shire Badminton Summerhouse is an attractive and simple Summerhouse which offers the benefit of a shaded place to relax in summer and a building for storage through the winter. The design is simple and clean and allows for straightforward assembly. This garden building is delivered with a factory applied base coat treatment. The shed will require the application of timber treatment.